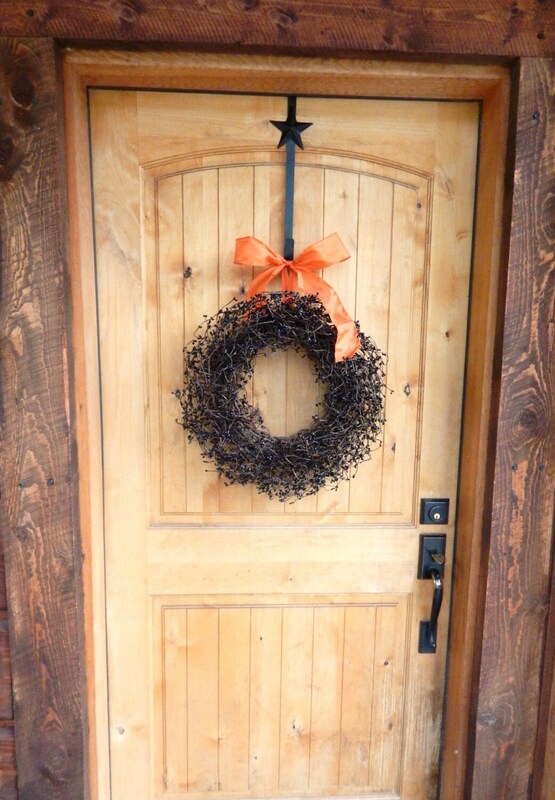 This Original wreath is Scented with Mulled Cider or pick from my 35 scented sprays. 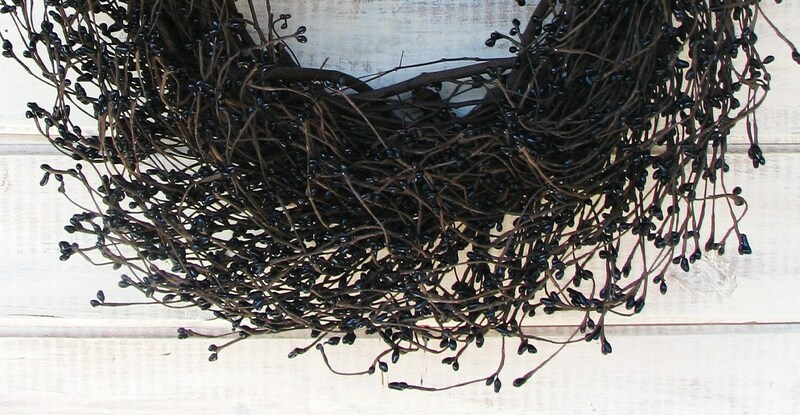 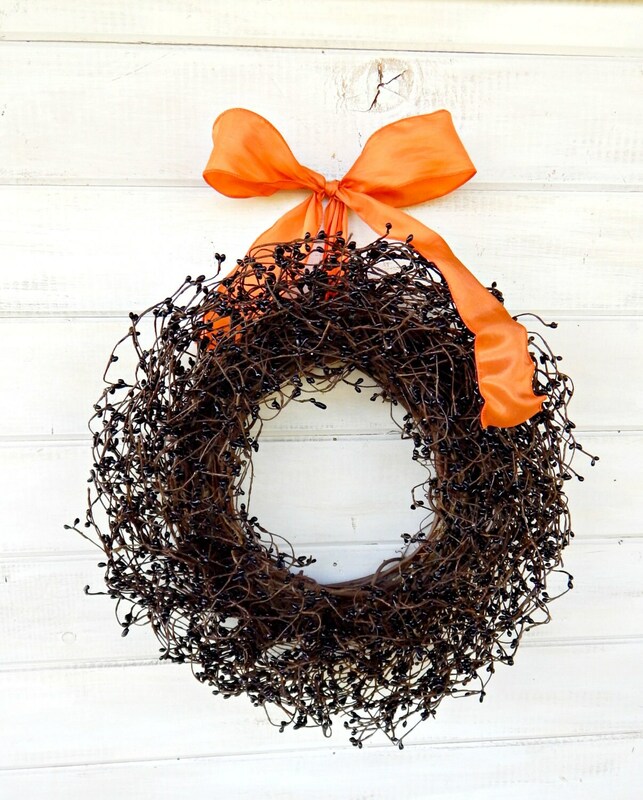 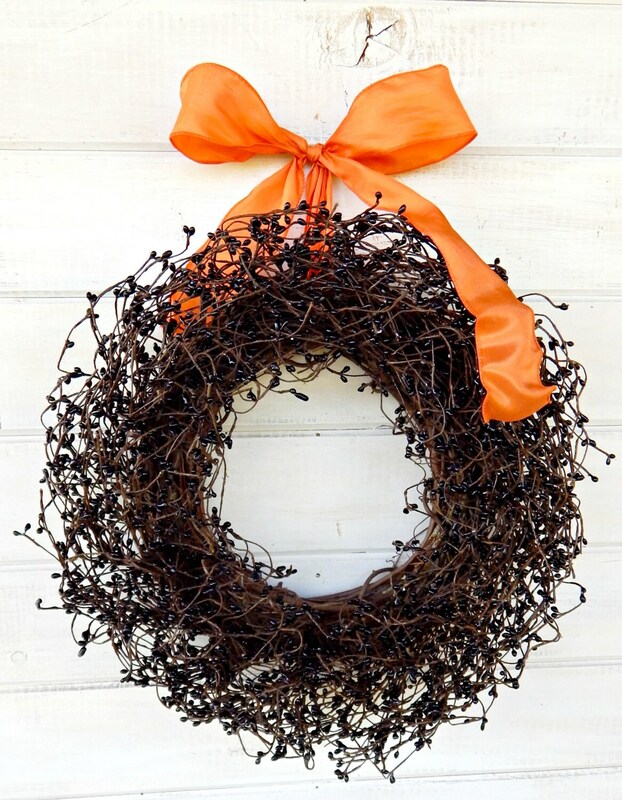 Hanging from a bright orange ribbon, this Holiday Grapevine Wreath is packed full of Primitive BLACK Pip Berries. Delivered fast, great quality, perfect.